Yes, everybody knows every rabbi is trying to impose on his Jewish constituency the Torah guidance in the interpretation of his ordination institution as the only truthful “Service to God”, and everybody knows every Jews is a profoundly independent individual with his own opinion on everything, who does not like to follow the crowd. Many know the old joke about the Jew stranded on a desert island. When he is finally discovered after many years, his rescuers find that he has constructed two synagogues. One, he goes to – its prescripts are tailored to his individuality. The other? The other he would never set foot in – it follows wrong prescripts. However, until the 19th century, this touchy combination was working nicely with no rift between rabbis and their Jewish constituencies. It was so because until the 19th century the Jewish majority lived in spiritually isolated Jewish communities/ghettos with no competing prescripts on how to be Jewish and be in “Service to God”. For the Jews, living in isolated communities with no significant interactions with the outside gentile world, the definition of a rabbi on the meaning of “Service to God” was as a sort of final word from God for his community. A rabbi’s direction on what to do in a personal life to be a “servant to God” was not for a discussion. Any attempt by a Jewish individual to suggest a competitive interpretation to being “servant to God”, based on the individual’s personal understanding of the Torah guidance, was considered a sort of blasphemy. In the 19th century, many in the Jewish communities began to question the traditional rabbinical definition of “Service to God” and rabbi’s exclusive role in its presentation that led to creation of non-traditional streams of Judaism and to abandoning rabbis as exclusive spiritual advisers. This anti-rabbinical trend (which is not an anti-Judaism or anti-all-rabbis trend) was definitely evident in the discussion panel on contemporary Jewish identity, to mark holiday of Tisha B’Av mourning, conducted by the Jewish alumni network Reshet Ramah. This alumni network unites the Jews who were born and raised in the Haredim communities, and then left them in search for a more tolerant Torah-based spiritual environment. The Reshet Ramah discussion for one of the participants, Srully Stein, Tisha B’Av is about more than commemorating the destruction of the First and Second Temples: it represents the loss he faced after he decided to leave the ultra-Orthodox community he was born into. Hailing from a rabbinical dynasty, Stein, 23, grew up in an ultra-Orthodox family in Williamsburg, New York. At age 18, he met his wife for just a few moments before they were engaged. They had a son, but he dreamt of college and the world outside his insular community. After struggling with conflicting feelings, Stein left the insular community and divorced his wife. As he stated, for him leaving was kind of a destruction of his own personal temple; he personally lost everything he had – his community, his job, much of his family, and he had to rebuild his own spiritual and personal life. Srully Stein is hardly alone. Why he and many others like him are abandoning their Haredim rabbis, synagogues and communities – not to stop being “servant to God” but to being “servant to God” in a completely different way? They have done it to recreate their own personal temples they lost in the Haredim communities. That is why on Tisha B’Av, they mourn the destruction of a personal temple as well. What is the true meaning of a personal temple? Any spiritual temple is a place where people learn how to be “Servant of God” – in their own individual image of “God”. Why an individual image – not collective? That is because we are created in the image and likeness of God who is a unique individual. God (in any of His possible images) did not created us as an impersonal flock – He created us as individual Adams and Eves, Abrahams and Mosess, Isaacs and Jacobs with our own personal spiritual temples that we create around us. 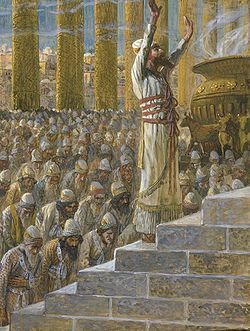 Unfortunately, the rabbinical majority of the past neglected this – instead of teaching how to build and enhance a personal Jewish temple in coherent coexistence with the collective Jewish temple, they taught how not to create a personal temple and to obey only the directives of the collective temple. Finally, the Jewish majority has realized that and revolted, and the stories of Srully Stein and many others tell it all. So, what the rabbis can do and what they cannot do? 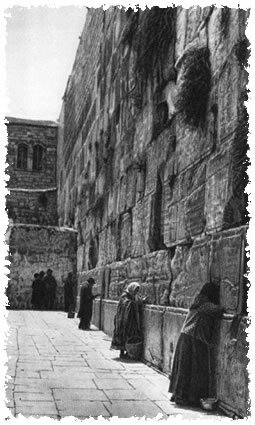 Rabbis can provide us the Jews with the knowledge of Judaic sources and of how various sages, prophets and authoritative rabbis tailored the unchanging Torah guidance to the changing historic circumstances of their times. Rabbis can provide us with the knowledge of rituals and proper behavior in the surroundings of our families, communities and synagogues. However, rabbis are not able to tailor the Torah guidance to the little known to them our Jewish life outside the isolated, insular Jewish communities in the gentile environment, where most of the contemporary Jews spend most of their time – in schools, at work, in social circles, at travel, at charitable activities, in political circles, in government, in arts and science, etc. Outside the isolated Jewish communities, the Jews are performing their mission of the Chosen – the Chosen by God for Tikkun Olam to build a better world for everybody along the lines of Torah guidance. We the Jews know much better than our rabbis the life outside Jewish communities in the gentile environment, and that is our responsibility to tailor the Torah guidance to this life using our God-given intellect. We have to build our own personal spiritual temples around us and make our personal temples compatible with the collective temple, and the rabbis should help us to do this – not to force us to suppress our personal temples for the sake of the collective one. Individual and collective Judaism | Vladimir Minkov | The Blogs | The Times of Israel.